The Medical Assistant program (660 clock hours) prepares students to support physicians by providing assistance during patient examinations, treatment administration, and monitoring; by keeping patients’ health record information; and by performing a wide range of practice-related duties. This program is designed to prepare students for a broad spectrum of entry-level positions in the Medical Assistant field. The student will learn the clinical as well as the administrative aspects of medical assisting. The students will gain lab & clinical competencies including phlebotomy techniques, EKG procedures, specimen collection, infection control & safety measures, vital signs, and assisting with minor office surgery and physical exams. The students will gain administrative competencies in medical bookkeeping, medical insurance billing & coding, medical records, medical office software, and medical office ethics. The externship is designed to enhance the skills learned in the classroom by allowing the student firsthand experience in a medical office environment as part of the curriculum. Students completing this program can work in various aspects of the field such as Clinical Assistant, EKG Technician, Phlebotomy Technician, Lab Assistant, Medical Records, Personal Care Attendant, Medical Receptionist, Medical Secretary, and Medical Assistant. The student externship (80 hours) will be scheduled during those hours which fall in the normal working schedule of the health care facilities to which the student is assigned. The Medical Assistant program does not qualify the graduate to work as a Nursing Assistant. 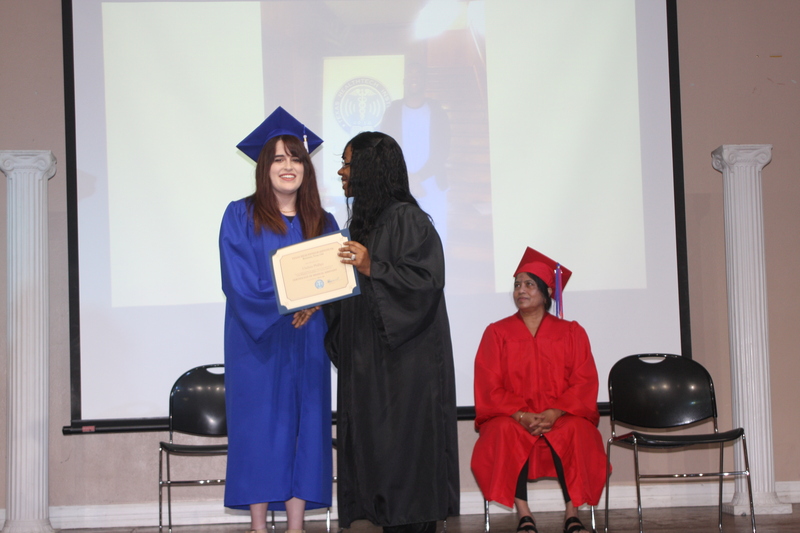 The graduate of the Medical Assistant program is eligible to take a national certification exam. National Certification is not necessary for employment as a medical assistant and a certification test is not mandatory, but all graduates are encouraged to take the certification test in order to receive national certification as a medical assistant. Institute does not pay costs related to NHA national certification. These costs are paid directly to NHA by students. Students will review the course topics under the guidance of instructor followed by tests administered (lab 20 contact hrs).